SOT-346 Mini3-G1 3 Zener diode MAZ3000(MA3000) series for stabilization of power supply. Grade B NEC - 2-Pin Power Mini Mold 2 1W Zener diode RD[ ]FM series. TO-243 3-Pin Power Mini Mold (3PMM) (34) 3 1W Zener diode RD[ ]P series. DO-35 DO-35 2 500mW Zener diode RD[ ]E series. 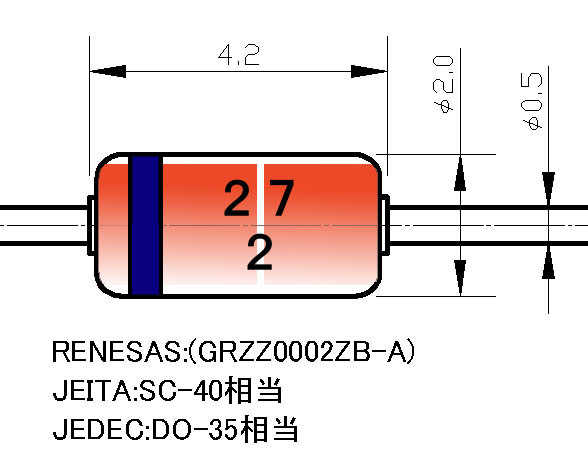 DO-41 DO-41 2 1W Zener diode RD[ ]F series. 24 DTC114EB ROHM - VMN3 3 NPN digital transistor. SOT-416 EMT3 3 NPN digital transistor. 24 DTC114EEB ROHM - EMT3F 3 NPN digital transistor. SOT-346 SMT3 3 NPN digital transistor. 24 DTC114EM ROHM - VMT3 3 NPN digital transistor. SOT-323 UMT3 3 NPN digital transistor. 24 DTC114EUB ROHM - UMT3F 3 NPN digital transistor. 24 DA36103E Panasonic - ML3-N4-B 3 Diode for high speed switching. 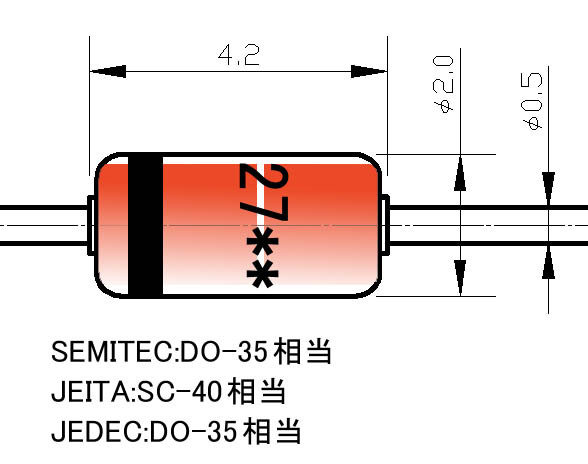 24 DA37103E Panasonic - SSSMini3-F2-B 3 Diode for high speed switching. 24 DA3J103E Panasonic - SMini3-F2-B 3 Diode for high speed switching. 24 DA3S103E Panasonic SC-89 SSMini3-F3-B 3 Diode for high speed switching. SOT-346 Mini3-G3-B 3 Diode for high speed switching. 24 DA6X103Q Panasonic - Mini6-G4-B 6 Diode for high speed switching. SOT-23 3-Pin Mini Mold (3MM) (33) 3 200mW Zener diode RD[ ]MW series. SC-48 DO-35 2 ZENER DIODE HZ series. SOT-23 3-Pin Mini Mold (3MM) (33) 3 200mW Zener diode RD[ ]M series. 8P3 8 2-Wire serial EEPROM 2k(256 x 8). ** SS24L TSC - Sub SMA 2 2.0A Schottky barrier surface mount rectifier. G** SS24L TSC - Sub SMA 2 2.0A Schottky barrier surface mount rectifier. 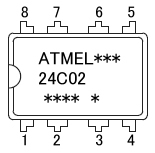 24M TK65224M TOKO - SOT-23L-6 6 STEP UP VOLTAGE CONVERTER WITH VOLTAGE MONITOR. 25 DTC124EEB ROHM - EMT3F 3 NPN digital transistor. 25 DTC124EM ROHM - VMT3 3 NPN digital transistor. 25 DTC124EUB ROHM - UMT3F 3 NPN digital transistor. 25 DA3J107K Panasonic - SMini3-F2-B 3 Diode for high speed switching. ***** PS2501-1 NEC - DIP-4 4 Photocoupler NEPOC series for high isolation voltage. PS2501L-1 NEC - 4-Pin SOP Lead Bending Type 4 Photocoupler NEPOC series for high isolation voltage. ***** PS2501-4 NEC - DIP-16 16 Photocoupler NEPOC series for high isolation voltage. ***** PS2501L-4 NEC - 16-Pin SOP Lead Bending Type 16 Photocoupler NEPOC series for high isolation voltage. 25J TK63125S TOKO - SOT23-5 5 2.5V OUTPUT Low noise positive CMOS LDO regulator IC. 25K TK71725S TOKO - SOT23-5 5 2.5V OUTPUT Positive LDO regulator IC with shunt. ** SS25L TSC - Sub SMA 2 2.0A Schottky barrier surface mount rectifier. G** SS25L TSC - Sub SMA 2 2.0A Schottky barrier surface mount rectifier. SOT-346 Mini3-G3-B 3 Diode for low power rectifier. 26 DA4X108K Panasonic - Mini4-G4-B 4 Diode for small current rectification. 26 DA6X108K Panasonic - Mini6-G4-B 6 Diode for small current rectification. 26 * DTC144EB ROHM - VMN3 3 NPN digital transistor. 26 * DTC144EM ROHM - VMT3 3 NPN digital transistor. DTC144EE ROHM - EMT3 3 NPN digital transistor. DTC144EKA ROHM SC-59 SMT3 3 NPN digital transistor. 26 * DTC144EEB ROHM - EMT3F 3 NPN digital transistor. 26 * DTC144EUB ROHM - UMT3F 3 NPN digital transistor. ** SS26L TSC - Sub SMA 2 2.0A Schottky barrier surface mount rectifier. G** SS26L TSC - Sub SMA 2 2.0A Schottky barrier surface mount rectifier. TO-236 SOT346 3 Voltage regulator diode PZM-N series. 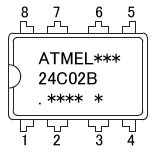 S-272T SEMITEC - SMD 2-pin plastic mold 2 Current regulative diode(CRD) S-series. DO-35 DO-35 2 Current regulative diode(CRD) E-series.